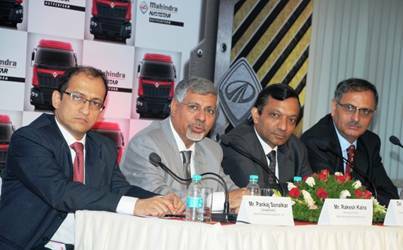 Mr. Mehta further clarified “Having started the production, we are focused on the sales and service infrastructure and filling the pipelines with our products. We look forward to start of sales in the next 2-3 months. 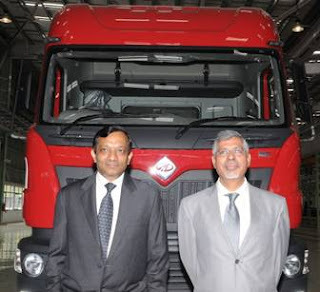 On the distribution front, Mahindra Navistar is in the process of creating a customer-centric network of exclusive dealerships across the country. Moreover, Mahindra’s already existing network will be deployed for servicing the customer needs. The Mahindra Navistar range of medium and heavy commercial vehicles is being manufactured at a new greenfield plant at Chakan, near Pune. The plant, which spans over 700 acres, has been set up with investments of over Rs. 4000 crores and will produce other M&M products as well. This will help MNAL leverage the benefits of synergies of an integrated manufacturing facility. 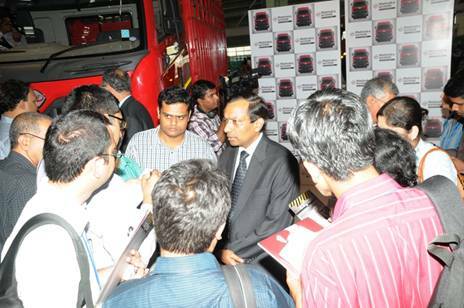 Mahindra Navistar has put in place an extensive sales and service network to cater to its customers. Besides this, MNAL will also draw on the vast pool of M&M auto and tractor channel partners to use as an extended network for servicing customers needs. And to top it all, Mahindra Navistar has set up a 24x7, multi-lingual call centre which is manned by trained truck experts to provide on-road support to customers, just in case the need arises.